Did you know Utah leads the nation in new job growth % over the past year? And that Southern Utah is even higher than the state average? Things continue to look up and up here with much more on the horizon. Check out what is new down below and if you know anybody looking to buy or sell a home, invest in real estate, or has any questions at all, let me know and I can help them get started! Hash House a Go Go- opening this month! I’m hearing the target date is September 19th. UDOT has allocated funds for the Zion Shuttle that will provide transportation to and from St. George and Zion on a daily basis. This would be huge for both St. George and Springdale. Desert Hills Plaza- two new spaces being filled by an attorney and a flooring store. No confirmation yet on who just yet. Crimson Corner- roads are paved and it’s looking closer and closer every day. Construction should be starting very soon. Indian Restaurant- a new restaurant is going in where Iggy’s used to be behind Target. The Book Bungalow- a new addition is coming to Green Gate Village on Tabernacle (where the famous Virgin Berri is) and should be open soon! NEW flight option at SGU airport! Allegiant will be flying from here to Phoenix-Mesa airport starting this fall. Since Allegiant already flies to Provo and Ogden, I imagine we will have more options coming soon. Verizon Store on Sunset Blvd.- now open! Affogatto’s Coffee Shop- new location at Unicorn Hatch Labs behind Tropical Smoothie on 1000 E. now open! My Place Hotel- under construction behind the Mountain America. Below is a list of all the developments, businesses, and other projects that have either been finished, or are a work progress. Desert Color- A big shopping complex along with a sports complex, hotels, and 11,000 homes are on their way just off exit 2 as you come into town. Big Shots Golf Center (a mini Top Golf) was approved and will begin construction sometime this year. Paparazzi Accessories is building a new facility and dirt is currently under construction. Dirt is being moved for residential and commercial spaces and we should be hearing more soon. For more details, give me a call. Kenworth Truck Sales Company– there was a ground breaking ceremony held last month and construction should begin soon! Hampton Inn- 5 story, 120 room hotel. Now open! Terrible’s Herbst gas station- now under construction next to the Hampton Inn. Desert Hills Plaza- KB Express is now open and there are 5 new businesses confirmed that will begin filling in soon! Port of Subs, Tropical Smoothie, Little Caesars, Great Harvest, and Desert Hills Pet Hospital. Stay tuned for more! Commerce Pointe- the newest development being created in town is now underway! Exit 6 will be getting a big retail development across from Black Bear Diner and McDonalds, and a Maverik is now open on the corner! My Place Suites– now open! Located at 1644 S. 270 E. in St. George behind Culver’s. Staybridge Hotel– under construction across from Furniture Row. Tru by Hilton– under construction across from Furniture Row also. Findlay car dealership– now open! Riverfront Medical Center- On Riverside Dr behind Cox Landing. So far Desert Pain, St George Orthopedic Spine, FIT Physical Therapy, Fusion Pharmacy, and Dermatology Clinic of Southern Utah are open. More to come soon! Summit Athletic Club- they have taken over Cubex on Bluff St. and turned it into another location. It is now open! Joule Plaza- new development across the courthouse will feature 197 luxury apartments and 19,000 sq ft of retail/office space. Ground work is being done and it will be finished in 2019. Green Gate Village- This plaza has been completely revived and it is such a cool downtown spot. Scout Cloth, Chef Alfredo, Twisted Silver, The Barber, Cosy House and Gift and My Little Moon are in business and you can find the Virgin Berri food truck parked there most days as well. Café Sabor– 290 E. St. George Blvd (where Wagon Wheel used to be). OPEN. Vernon Worthern Park- renovation is complete. Go check out the new toys at the park! Red Rock Auto Sales- next to 3 Amigos Market on Bluff St. Dirt is being moved and construction will begin soon. Morty’s Café- under construction on the corner of St. George Blvd. and 700 E. where the Maverick used to be. Will be completed this summer. Short Creek Bakery- now open at 799 E. Tabernacle St.
Jones Paint & Glass- new building on the corner of Tabernacle and 500 E. Under construction now. MRW Design Associates- new location on 100 S. behind Bicycles Unlimited next to Wells Fargo. Under construction now. Tea Thyme Gift and Boutique- now open in the complex next to Kneaders on Bluff St! Jamba Juice- OPEN in front of Lowe’s. Pieology- OPEN and it is absolutely worth the long line! Target- remodel is now finished! Hospital- the $300 million extension is under construction and will be finished soon. Oral & Facial Surgery Institute- they are building a new office just off River Rd. on Riverside Dr. just west of the Post Office. Dirt is being moved and construction will begin soon. Lots more good work is in the process and should have some exciting news soon! Foothills Plaza: corner of S. River Rd and 2330 S.
Ventana Ridge: corner of S. River Rd. 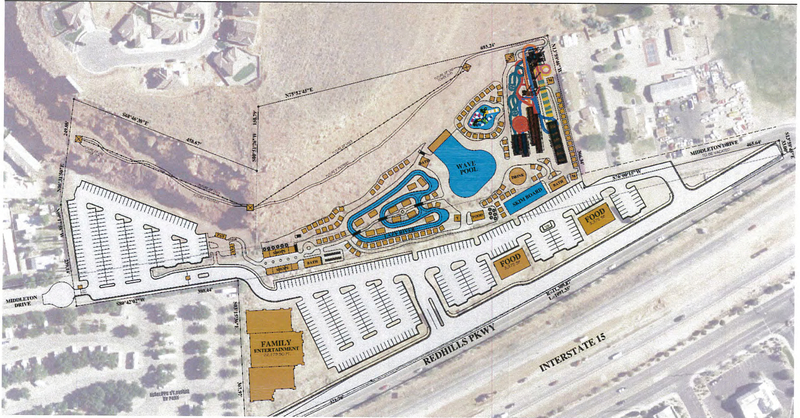 and 2450 S.
Ventana Ridge- more BIG news in Little Valley. There is dirt being moved to begin a big commercial complex/residential subdivision on the corner of River Rd. and 2450 South. There isn’t much information on it at this point but will be big for that area! Retail complex that has 8 retail spaces. Roads are paved and progress is moving quickly! A café and a bakery have already signed, with more in the works. A park will go in across street with soccer fields, basketball and sand volleyball courts, and a playground. Should go under construction this summer. Stone Canyon Eye Care– Now open. Rodworks Unique Home Décor- now open. Promenade at Red Cliffs: Red Cliffs Dr.
Pho Vietnamese Restaurant- currently under construction next to Durangos. HuHot Mongolian Grill- now open! H&M– Construction is underway and they are scheduled to open this fall. Jazzy Javas is back! The new location is at 1812 W. Sunset Blvd. next to Dubs BBQ. 2 Marriott hotels- going in behind the Chevron in front of Green Springs and will be HUGE for Washington. Dirt is being moved for the first one and more news is on the way. Taco Bell- on Red Cliffs Dr. down from Stadium 10. Now open! Pine View 10 Plaza– a new retail building with 2 spaces. T-Mobile and Brent’s Pharmacy are now open! Flavor of Seoul- Korean restaurant now open. It is located at 568 W. Telegraph Rd #8 in Washington. ined yet, but will be happening soon. Sienna Hills Commercial complex- Black Bear Diner is now open and a new Terrible’s gas station just broke ground. Construction should begin soon. Grapevine Crossing- new commercial retail complex in the works off exit 13 across the roundabout from Maverick. There hasn’t been any movement yet but there will be in the near future. It will be an “experience” type complex combining activities and businesses for an all-in-one place for families. There will be an amphitheater, park, and museum along with retail shops and restaurants. There is space for 7 sit-down restaurants and 7 drive-thrus, along with 137 tenant spaces. Names can’t be disclosed yet but there are talks in progress of a grocery store that will anchor this development. More will be known in the next few months. Mountain America Credit Union- open! Simister Ortho and Riverside Dental– currently under construction and should be complete by the end of the year. The Fields at Mall Dr. commercial plaza- A new professional commercial plaza will be underway in the near future. It is directly north of Lin’s out in the fields. Stay tuned for updates! Crimson Intermediate, Middle School, and High School- under construction. Middle school is now open, and the Intermediate school and high school will open in the fall of 2019. Café Rio- part of the new Harmon’s complex in Santa Clara. Now open! Capriotti’s sandwich store and the Pet Shop- expected to submit their plans soon. Mountain America Credit Union- now open. 52 acre park in Santa clara Hills- has been proposed that will include a disc golf course, climbing boulders, and a bike pump track, trails and more. LA Quinta Inn & Suites- right before you turn up the hill to go to Zion in La Verkin. Now open! Copper Rock Golf Course in Hurricane– on schedule to finish sometime in 2018. Clarion Inn & Suites- along the Highway right before the dip into Hurricane. Now open! Comfort Inn & Suites- under construction on the corner of State St. and 2600 W, and will be finished by the beginning of 2019. The Haven at Sky Mountain- Assisted Living and Memory Care Community under construction directly behind the new Clarion Inn & Suites on State St. Scheduled to be finished in spring of next year. Cliff Rose Lodge & Gardens- currently being renovated into a 4 diamond resort that will feature upgrades to all the rooms, new suites, a spa, and a bigger restaurant. It’ll be the first 4 diamond resort in Springdale. Marriott hotel- underway in Virgin with more development out there coming soon. Innovation Plaza- SO many amazing things happening at DSU in Innovation, Business, Technology, and Science. They have acquired the East Elementary campus and are turning it into an Innovation Plaza that will feature many significant resources that will help not only students, but people in the community as well. It is currently under renovation and they are hoping to have a grand opening this fall. For more info, contact me. Student housing on 100 S. is complete and now in use. More student housing is being built on the corner of 700 E. and 100 S. Should be completed by the next school year. Legacy Ridge Apartments– now open! They allow dogs and will have their own dog park. Fossil Hills Townhome Community– townhome complex underway on South River Road just over the bridge from the Knolls/Little Valley next to the Dixie Power station. Under construction. Red Mountain Vistas- another luxury townhome complex down the street from Blackhawk Townhomes that will break ground in the next few months. Blackhawk Townhomes at Tonaquint- currently under construction and will be the same layout as the Blackhawk Townhomes out in Santa Clara. We have had 1638 residential building permits for apartments & condos, duplexes & townhomes, and single family homes pulled so far this year. We have a large number of lots being developed right now so we should be seeing more and more come available the next few months. Here is what was recorded last month! If you’d like a plat map or any other information for any of these new developments, please let me know! We strive to protect your investment by keeping up on the latest technology and trends, retaining a knowledge of the real estate laws and codes, and by making sure all of our title and closing officers are properly licensed and trained. Copyright © 2017 Eagle Gate Title Insurance Agency, Inc, All rights reserved.